Very hot yesterday, and it will be very hot again today. I know we made it to 93˚F yesterday, with a heat index of 103˚F. But then storms rolled through and the temperature quickly dropped to about 83˚F. Today, we have a heat advisory. Yesterday, I did only 590 words, "R is for R'lyeh." I was going to make a big push toward finishing the alphabet today, but then I only slept about four hours last night. So, I'll be moving boxes to the Harris Building, instead. We did get a good walk yesterday evening. 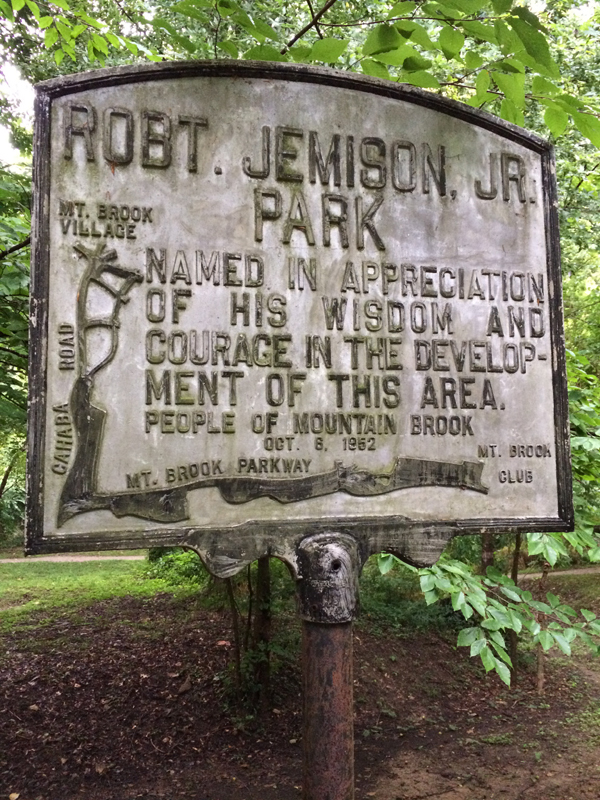 Jemison Park was soaked from the rain, and the air along Shades Creek was almost chilly. We did more than a mile. Last night, after more bbq chicken, we watched the first episode of Ken Burns' Vietnam series.